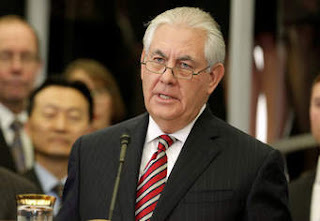 US Secretary of State Rex Tillerson said on Thursday that the pursuit of nuclear weapons would not bring security to the North Korean government and that China’s help was important to make Pyongyang’s nuclear and missile programs under control. “North Korea may assume that nuclear weapons will ensure the survival of its regime, in fact nuclear weapons clearly lead to more isolation, shame and deprivation,” Tillerson said at the UN Security Council. “If China is truly willing to denuclearize the Korean Peninsula in order to promote stability and avoid conflict in that sensitive region on its borders, now is the time to work with the rest of us … to put pressure on North Korea that can change its strategic calculations before it is too late.